Home sales in Golden Eagle Plantation are selling at a pace between two and three sales per month over the past five years. As one of the upper-end neighborhoods in Tallahassee, Golden Eagle features a Tom Fazio golf course and a private country club, and has seen some of the more expensive home sales in Tallahassee since it opened in the late 1980s. 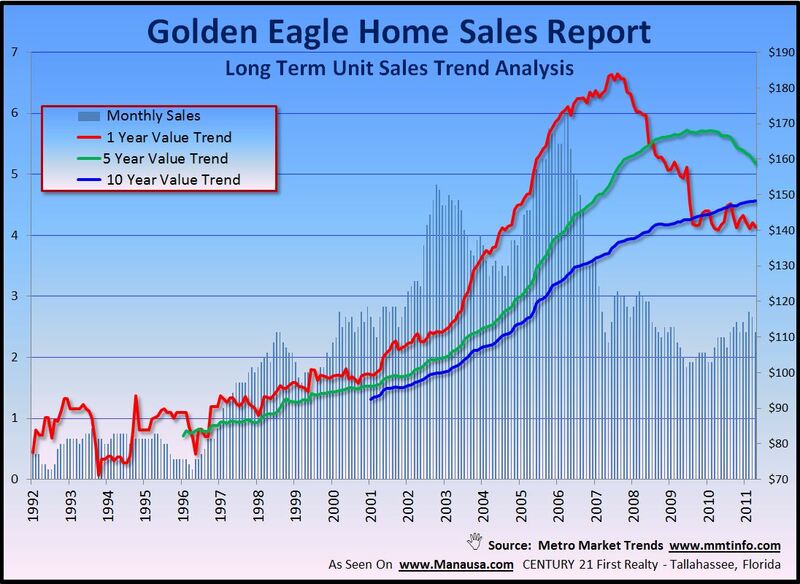 Sales boomed in Golden Eagle during the peak of the market, fueled by the new loan programs that offered low interest rates, no principal payments for up to 7 years, and little or no down payment. Currently, we are in the midst of a very different mortgage market, and that is why many homeowners in Golden Eagle are having a hard time luring new buyers to the community. There are 40 homes for sale right now in Golden Eagle, which represents about 14 months of supply. The following real estate graph shows that values appear to remaining fairly stable, but the reality is that current buyers are opting for homes that are on the premium golf course and lake front homesites at a higher rate than in past years, so the results are being masked by the types of properties that are being sold. 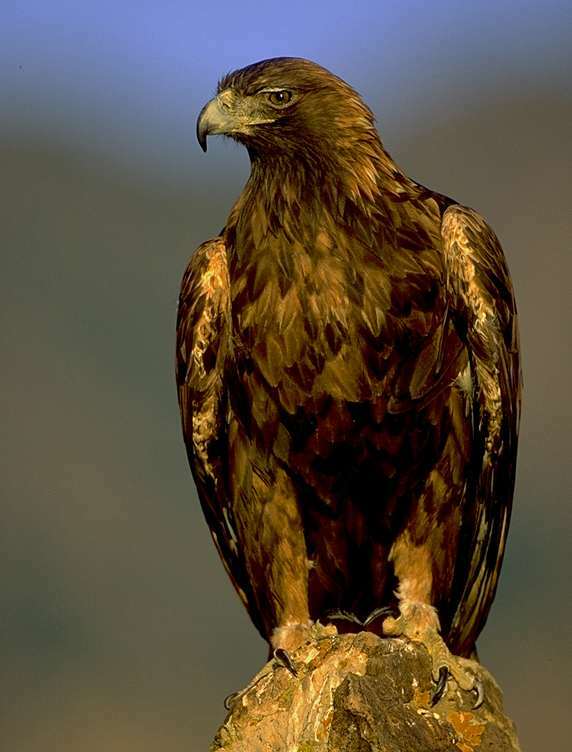 Over the past year, roughly 50% of the homes sold in Golden Eagle were either on the golf course or on a lake. These premium home sites have historically sold for about 25% more than comparable homes on interior lots, so the higher rate of premium home sales is masking the fact that like the rest of the Tallahassee housing market, home values are dropping in Golden Eagle Plantation. This understanding of how home values are greatly affected by their individual amenities and attributes is important because it is the reason why a home's value cannot be simply measured by computers on real estate websites using a price per square foot algorithm. Sites such as zillow or trulia might use a home on a lake as a comparable property to one on the interior, thus these values (disinformation) often times mislead both buyers and sellers alike in regards to values in a neighborhood.